Hi all, welcome to the closing of another season. Thank you to Dave for his efforts over the past seasons. Dave has been a great asset to the club and contributed endless hours above and beyond his role. Not only has he been coach, but also been a dedicated lifeguard and club member. Dave leaves our club to spend time with his new family. We wish him all the very best. We are lucky enough to have confirmed the new coach for the year. There is a meeting for the athletes to meet the new coach and discuss training programmes and athletes goals for the next season. This is open to all members. This will be on Monday 4th April at 7pm at 16 Primula Place, Waimairi Beach. Any further questions or queries can be discussed with Daryl on 0273417407. Rebuild of the club room is progressing well. By the start of next season we will be seeing significant developments of the new clubroom. There will be a working bee at the clubrooms mid to late April to remove gear, so the existing clubrooms can be demolished. A team of 9 junior athletes competed at Oceans 16. 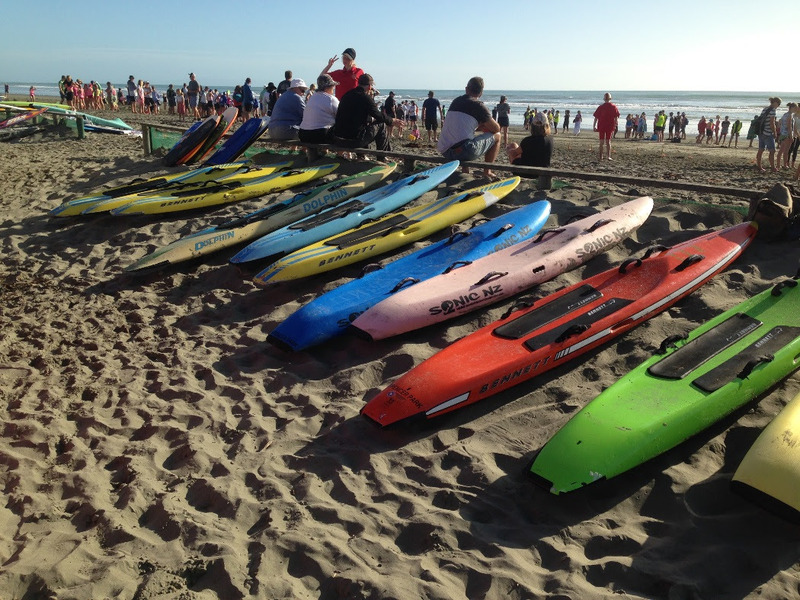 These are held at Mt Manganui each year and attract approximately 1100 juniors from all around NZ. It is the pinnacle event for juniors to attend during the season. They all achieved great results with 4 of them making finals, which is an amazing result. Thanks to Meghan Baker for all her efforts with the team. Thank you to all our dedicated lifeguards who patrolled our beach this summer. We had lots of new life guards who performed well. We had some lovely warm days and some chilly days. On cooler days, the club rooms got a good clean up. They kept the beach safe again this year with only minor first aid incidents, so well done to you all. A massive thank you to all the parents who supported club days. They were all very enthusiastic about getting into the water on cold days. You were all amazing at helping transport and unload gear, helping at carnivals and cooking the BBQ. Without you this club would not be the club it is today.